Have you ever wished you could change your puny little lashes? Like a Hollywood-hairstylist-type difference? A total makeover that transforms your face much like when you get that perfect haircut and you look 10 years younger? Well now you can! But there will be no big Hollywood egos involved in this effort honey. With a flick of the specially-designed wand your lashes will be injected with a massively volumizing miracle worker in a tube. This “injection” adds volume beautiful separation and waterproof color to lifeless dull lashes. You will not see clumps and lumps – all you will see are long gorgeous fluttering new and improved eyelashes. Get injected! For a more natural lash just tip lashes with lash injection. 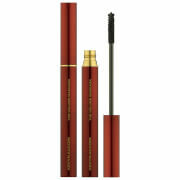 For the false eye lash in a tube effect, Inject your lashes with 3-4 coats. I've had a love affair with my Lash Injection for YEARS! Naturally I panicked when I didn't see it on the shelves in the cosmetic stores. Little did I know Too Faced was working on improving the formula. How you improve on perfection, I dont know, but Too Faced has done just that. I call this my BOOM BOOM POW mascara because it makes my lashes go POW!! It does everything I want a mascara to do: dramatically lengthens and thickens. Something about this new formula makes my lashes appear shinier, perhaps the Vitamin E contained in the mascara. A mascara containing an antioxidant, how awesome is that? I Love you Lash Injection!!! Lash Injection is a steroid for lashes! I've tried most brands of mascara over the years. Lash injection goes on without clumping and keeps the lashes separated and individual. They look natural but LONG and dark. The mascara doesnt end up on my lower eye area or run even after a full day's work! It is easy to remove, and doesn't chip and get under contact lenses. I LOVE THIS! 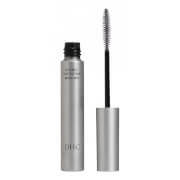 I purchased this product and found the mascara dry and difficult to apply. The container doesn't appear to be to full capacity. Very disappointing. As we don't get Too Faced here in Australia, I was excited about trying something new that was apparently a "Miracle Worker".I was dissapointed with this Mascara, it stuck my lashes into a clumpy ugly mess, and didn't seem to lengthen them that much, or provide any volume! It looked like a little kid had hold of a ball-point pen and was drawing lashes on a picture of an eye.I won't be buying this product again. This mascara is no better than drugstore brands. I put it on for the first time today, and it looked absolutely average (Blink's kind looks stunning), and it smudged after three hours, even though I didn't rub my eyes or anything. I hate to say it, but this is an absolute waste of money. I was looking for mascara to make lashes fuller and most importantly not clumpy. From the reviews I thought it was exactly what I was looking for. Yes, lashes did seem fuller. But clumpy. Was easy to take off but clumpy is not a good look. BEST MASCARA IN THE WORLD! This mascara is absolutely AMAZING! I had heard alot about this product and had very high expectations and was not disapointed in the least. It really is equivalant to a strip of false lashes! I also love that it is not messy when removing...the tubes simply pull off with water. LOVE IT! I love this mascara!!! I've tried all kinds, l'oreal voluminous, lancome, clinique (many more)... I have pretty thin lashes, not too short though, that go straight down, so I have to really curl them, so when I put mascara on, I have to wipe the brush first because if it's too goopy, my lashes don't stay curled. This is the first mascara I have tried that I don't have to wipe the brush. It's the biggest, thickest brush I've ever seen, and it works miracles!! I just make sure to do the tips first and let it dry for about 10 seconds, then I sweep my whole lashes with it. It doesn't flake or clump my lashes up and it really does stay on all day. I won't ever go without this mascara!! 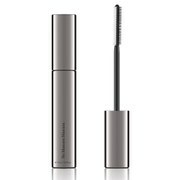 This mascara is a great concept, giving thick long lush lashes, but is very difficult to get off and starts to flake off when you try. pulling and tugging at lashes and the skin around them results in sagging and stretching of the skin but you have to in order to get most of this stuff off. not worth the trouble or damage to fragile skin around the eyes..